As we all know that Beacon house schools have reputed name in Pakistan and most of children studding in Beacon house belongs to elite class family like Politicians, Army (high ranked officers) and Business man normal families cant afford the fee structure. Beacon house group has largest private schools network in the World and have total 247,000 students in these countries UK, Malaysia, Indonesia, Thailand, the Philippines, Oman, UAE, Pakistan and Bangladesh. 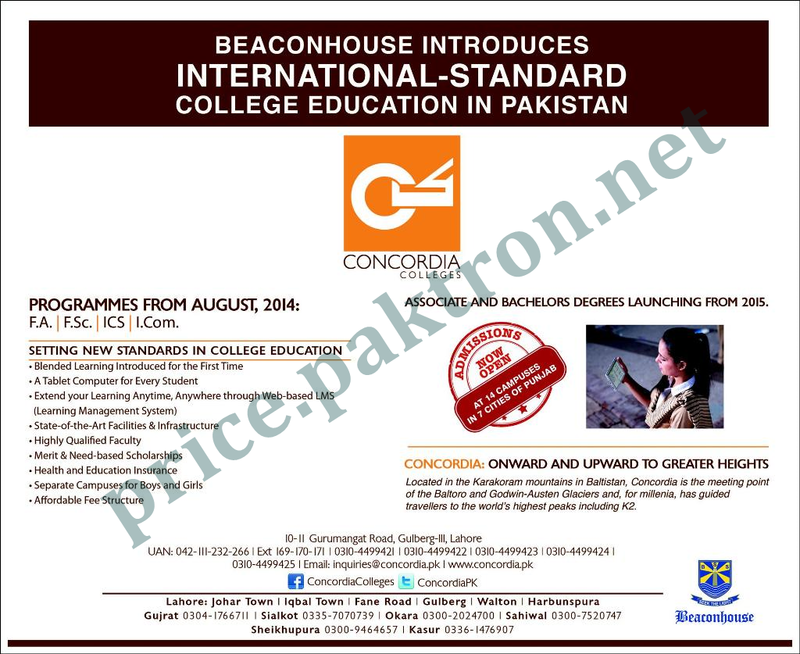 Now Beacon House Group Introduces International standard College Education Systems In Pakistan and Initially starts from 7 cities(Lahore(In 6 Campuses), Gujrat, Sialkot, Okara, Sahiwal, Sheikhupura, Kasur) of Punjab Pakistan and also starts Associate and Bachelors Degrees Programs in 2015. Separate Campus for Boys & Girls.